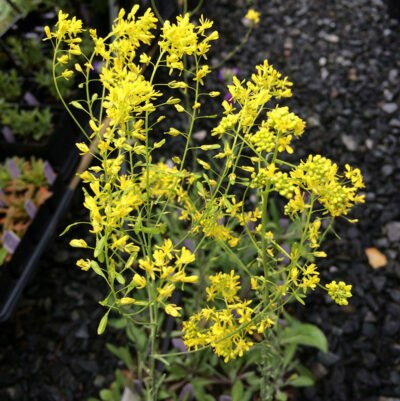 Woad has been used since prehistoric times to dye fabrics blue. It is native to the Mediterranean. Harvest leaves July through August cutting them back to the crown. Plants will flush new growth before winter. The leaves produce the most dye. Very little color comes from the stems. Plant in full sun on 1′ centers. 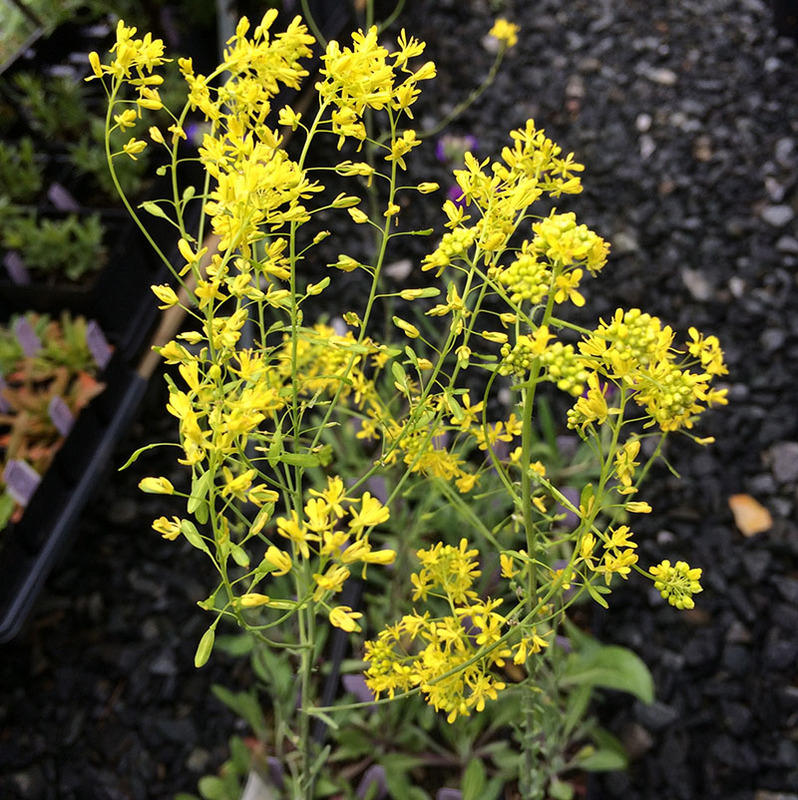 Height 2-3′ in flower. Leaves of 24 plants can dye 4 oz of wool. Biennial.